Our Mission: Our focus is to continue as a leader of engineering services that provides quality work and dedication to our clients' goals. We have formed a company that is uniquely positioned as a young, dynamic firm with flexibility to work on a variety of projects and available to continue offering many years of quality engineering services to our clients. Company Profile: Electrical Consulting Engineers, P.C. is a New York State-based professional corporation, currently with offices in New York, Arizona and Rhode Island. Our engineers are licensed professional engineers in several states and are active in industry organizations such at the Institute of Electrical and Electronics Engineers (IEEE), the Power & Energy Society, Insulated Conductors Committee and CIGRE. Our staff has contributed to industry guides and standards through participation in working groups focused on addressing the current needs in the electric power industry. Send mail to webmaster@ec-engineers.com with questions or comments about this web site. Copyright © 2017 Electrical Consulting Engineers, P.C. 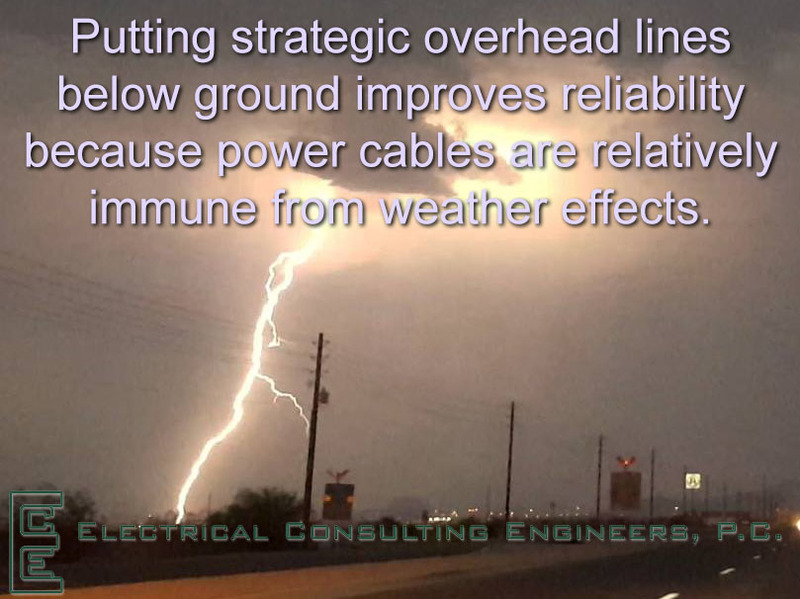 including situations where storm hardening is important. other consultants, and research organizations.